While doing some organization in my astrophotos I came across a picture composition that I created back in September 2015 following the Super Moon Lunar Eclipse, but which I never posted. The Moon’s orbit is elliptical and eccentric which causes the Moon’s distance to vary by 50,200km from perigee (closest) to apogee (furthest). The end result is a 12% change in apparent diameter as viewed from Earth. 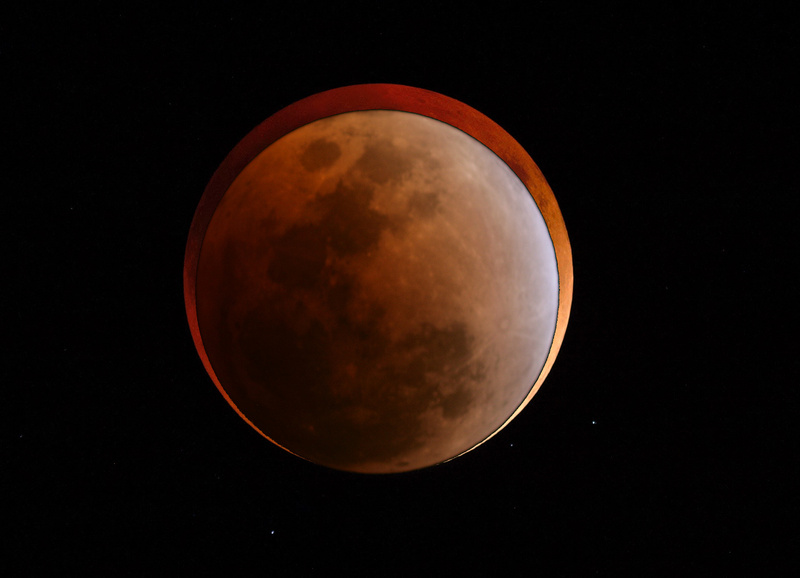 The above image only shows a 7% difference as while the background Moon was taken at perigee (famed Super Moon) the foreground was an arbitrary reference of the February 2008 lunar eclipse. This entry was posted in Photo and tagged Astronomy, Astrophoto, Astrophotography, Eclipse, Full Moon, Moon by Benoit Guertin. Bookmark the permalink.